To avoid the fatal accidents and congestion in the market, we offer this range of road safety equipment which are made in accordance with the road safety rules. Fabricated from LDPE materials these are light in weight and UV stabilized and are offered with reflective sleeve to be visible through out the day & night. 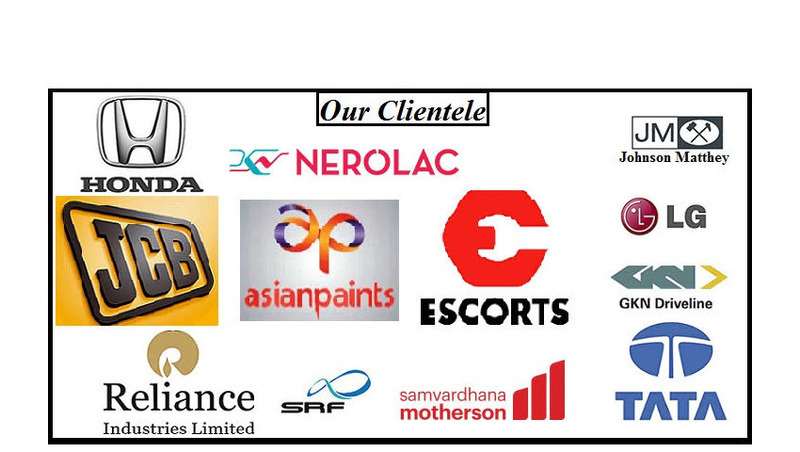 We offer various road safety equipment which are implemented in roads. Rubber Speed Breakers that we manufacture and trade is widely demanded in several construction industries for reducing the speed of vehicles in specified areas. These are manufactured using supreme quality raw material and are available in several specifications as per the Industrial requirements. Made of Rubber, Extreme speed bumps are highly resistance to severe impacts and harsh weather conditions. Its dovetail interlocking subunits make it bind perfectly into one firm bump. The pre-colored material (Black & Yellow) and UV stabilizer keep them perpetually colorful. Studded with reflectors on either side, they are clearly visible to the motorists during night hours. Road Safety Equipment & Reflective Jacket that we manufacture and trade, is widely demanded in several security industries, investigation or crime branches for traffic control, vigilance persons, investigation sites and many more. 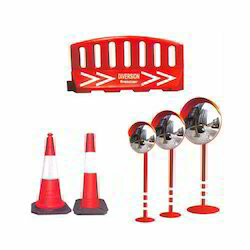 These equipment include high visibility vest, led batons, speed retarder, road stud, traffic cones, floor stand, crash barriers, convex mirror and many more.